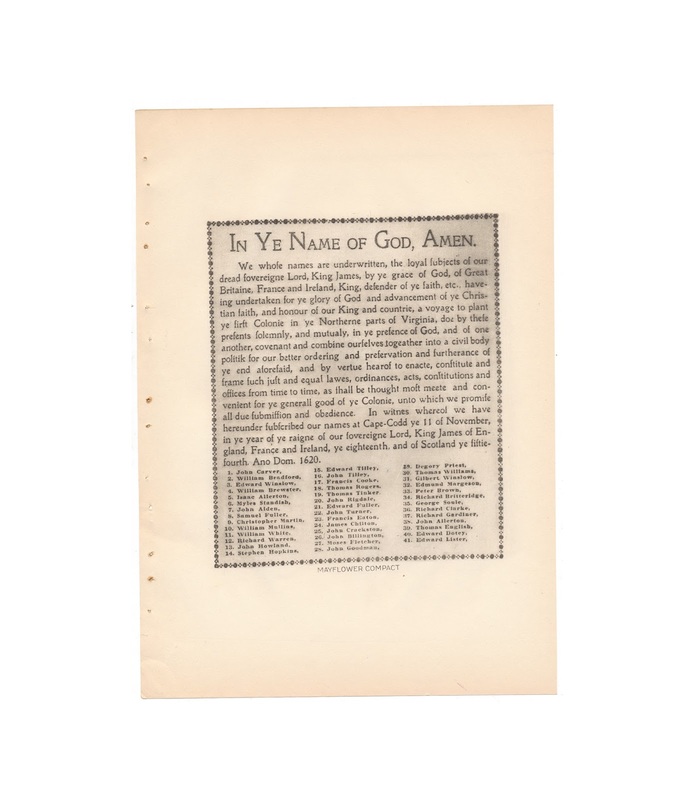 These eight 8 x 11 inch print comes from Volume XXVI, #1 of Americana Illustrated from 1932. It was published by the American Historical Society in Somerville, New Jersey. 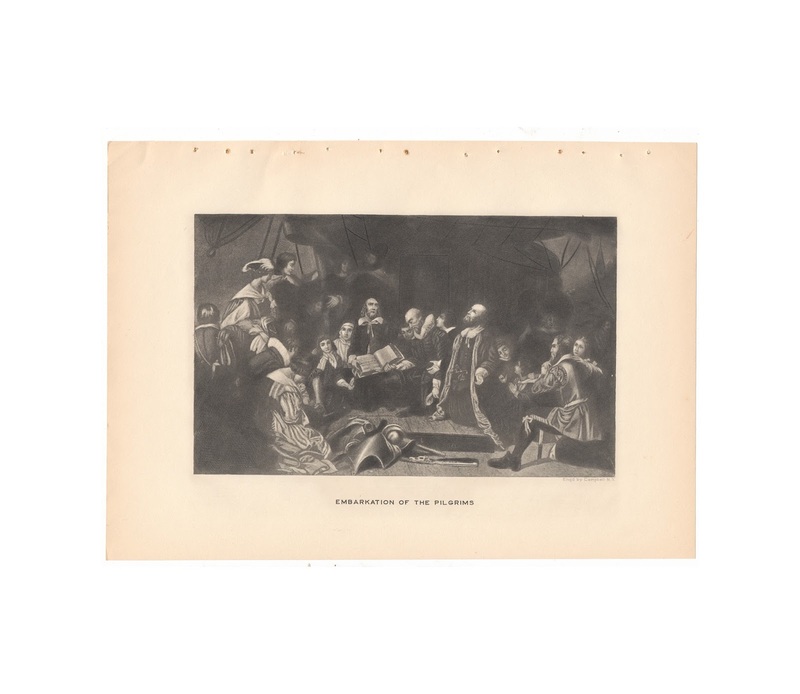 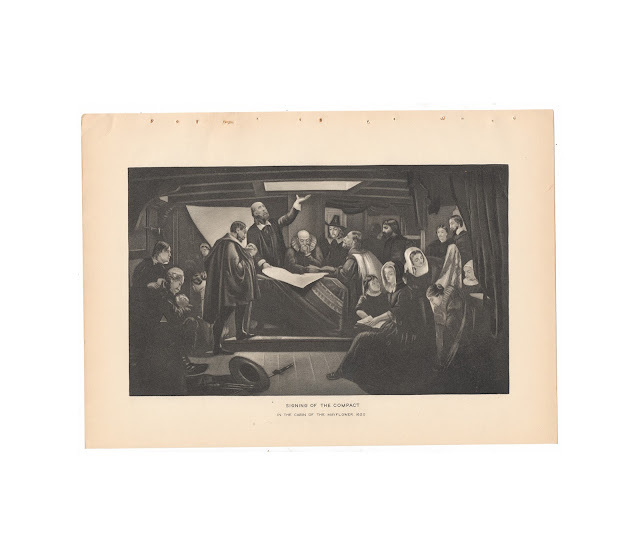 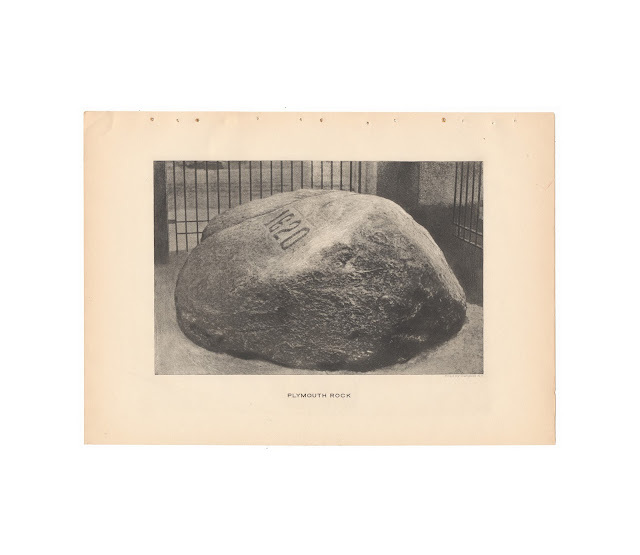 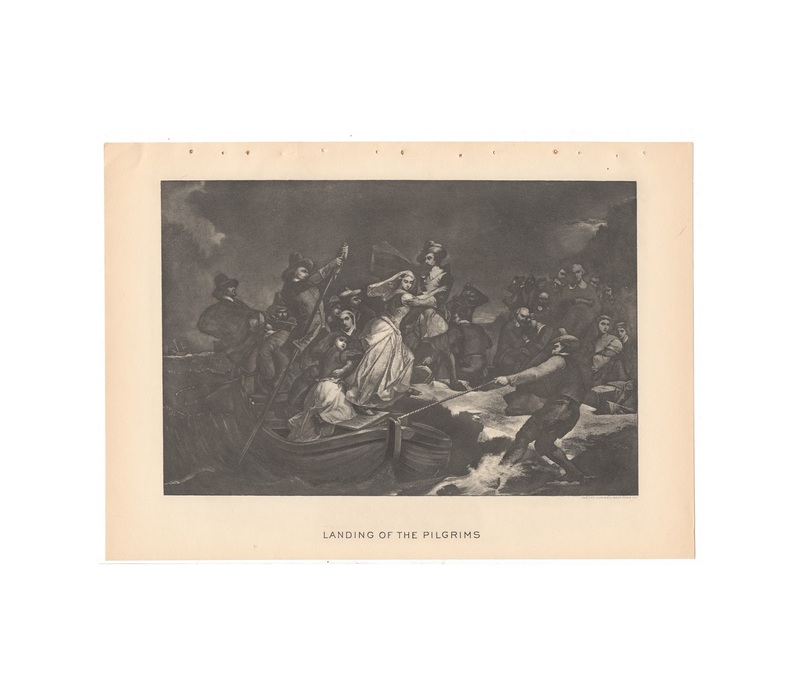 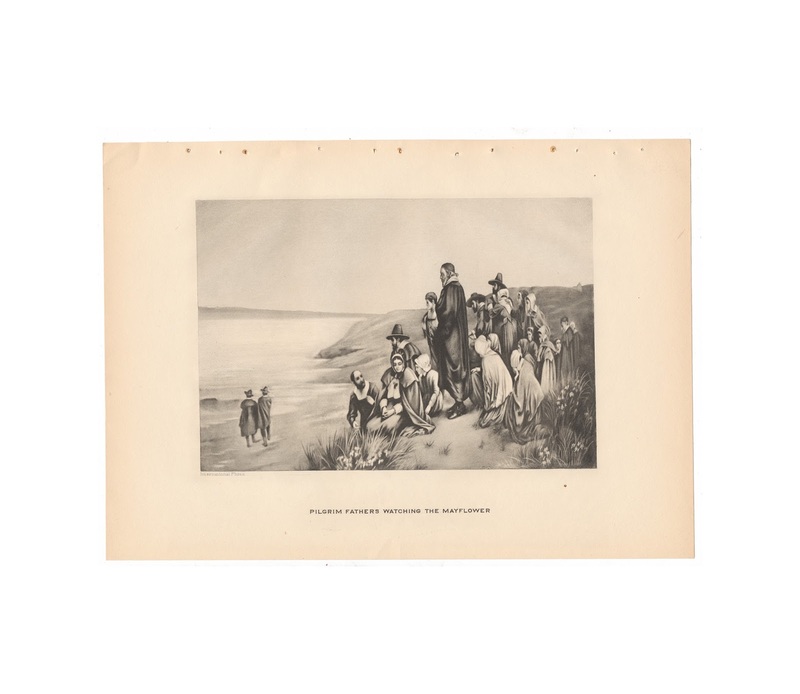 The prints feature illustrations of The Mayflower, Plymouth Rock, and views of the Pilgrims. 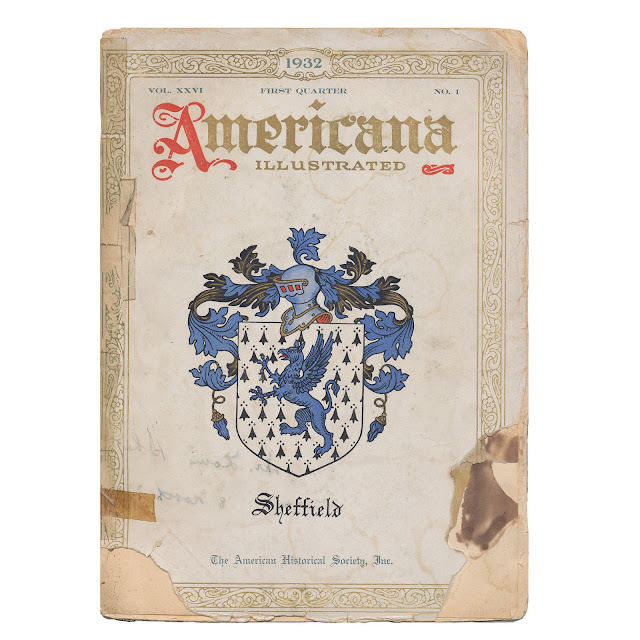 They are generally clean and crisp, paper weight is a bit thicker than standard magazine stock. A bit of browning to edges and remnants of the binding staple holes on one edge. 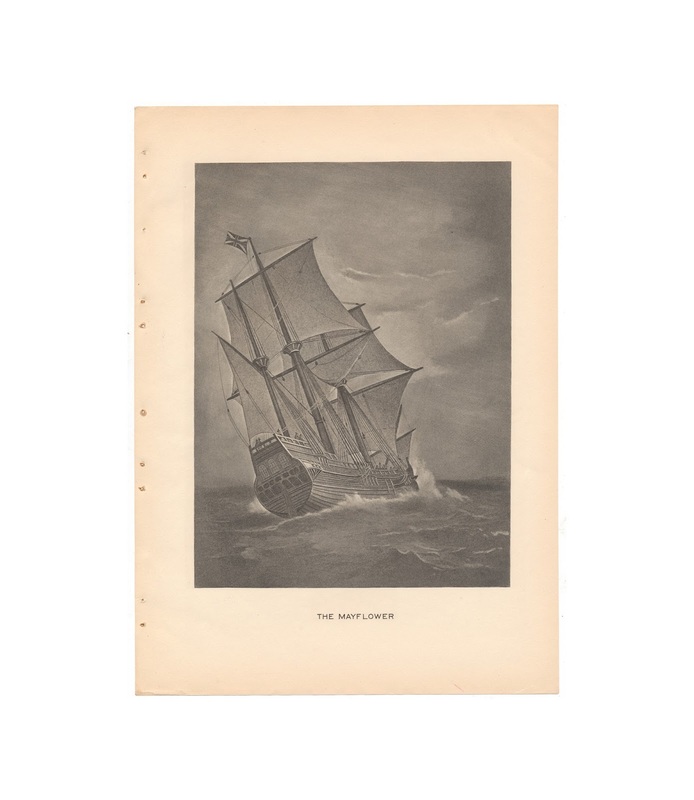 Cover of the magazine shown for reference purposes and is not included in the sale.